The TS.5204 range of door closer is engineered from exceptional components and offers variable power adjustment to EN 2-4. 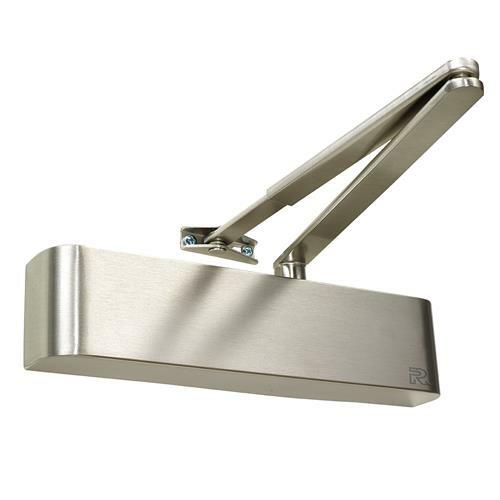 This CE-marked mechanism features slimline characteristics and a flat bar arm, and is available in high quality finishes. Temperature stable hydraulic oil is unique to Rutland closers. This means the TS.5204 can be used in temperatures from -15ºC to +40ºC. This product is also available in a range of metal finishes. Please note picture is shown with the cover already mounted on the door closer- the finish pictured is Satin Nickel plated. Be the first to submit a review for the TS.5204 Architectural door closer.